Spurbooks Ltd, 1972. 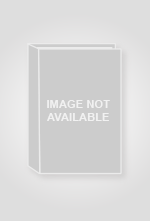 This book has hardback covers. Ex-library, With usual stamps and markings, In fair condition, suitable as a study copy. Dust Jacket in fair condition. Spur Books, 1972. revised edition.. Hardback. Cloth, dj, VG/G+. xiv+237pp, b/w frontis, endpaper map, 14pp b/w plates, index, dustjaket rubbed & a little worn at the edges, a good reading copy. 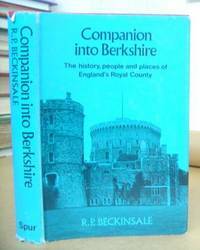 A revised reprint of Methuen's Companion series, giving a guide to the history, people & places of Royal Berkshire. The County of Berkshire at this time extending as far north as Oxford. United Kingdom: Spurbooks. Very Good in Good+ dust jacket. 1972. Hardcover. 0902875191 . A Very Good hardcover in a Good price-clipped dustjacket. The book is in clean red boards, bumped to the spine ends and lightly bumped to the corners. Internally, a small clip to the front endpaper, no writing or stamps, unmarked pages, a little toned and foxed to the text-block edges. The dustjacket is rubbed, and creased to the edges, with tiny chips to the spine ends and tips. Carefully packaged and despatched within 48 hours from our wee bookshop in Scotland. . Spur Books. Very Good in Very Good dust jacket. 1972. Hardcover. 0902875191 . 237pp, illustrated with 22 plates, and an endpaper map, red cloth, brown dustwrapper. Nice copy; Octavo .